Carl Terrell Mitchell (born November 27, 1973), better known by his stage name Twista (formerly Tung Twista), is an American recording artist. He is best known for his chopper style of rapping and for once holding the title of fastest rapper in the world according to Guinness World Records in 1992, being able to pronounce 598 syllables in 55 seconds. Twista released his eighth solo album entitled, The Perfect Storm on Nov 9, 2010. The first single from the album, "Make a Movie" produced by The Legendary Traxster, featuring Chris Brown, was released on August 24, 2010. Two buzz singles were released, "I Do" produced by Traxster and "Heat" produced by fellow Chicago producers NO I.D. and The Legendary Traxster. The album features artists such as Waka Flocka Flame, Raekwon, Tia London, Diddy, Ray J, and others. Production on the album is mainly by The Legendary Traxster along with Streetrunner, Twinz, Tight Mike and NO I.D.., Twista discussed his new documentary, directed by Vlad Yudin and the making of The Perfect Storm, including his belief that artists need to do more than just record songs and that they need to become more involved with the community around them. A documentary film, Mr. Immortality: The Life and Times of Twista, was released in November 2010. Twista appeared on ABC's To Tell the Truth in 2017. 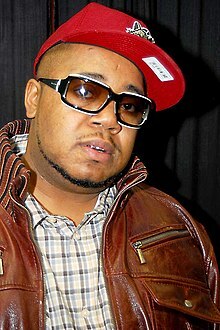 Twista was married from 1991 to 1999 and had a daughter with his ex-wife. ^ Whitburn, Joel (2004). The Billboard Book of Top 40 Hits: Eighth Edition. Record Research. p. 673. ^ Stevens, Mary (26 June 1992). "Tung Twista Lands Spot in Guinness Book". Chicago Tribune. Retrieved 27 June 2012. ^ a b c d "Twista". Atlantic Records. 2005. Archived from the original on 2007-02-04. ^ a b Erlewine, Stephen Thomas (2007). "Twista > Biography". allmusic. Retrieved 2008-08-18. ^ D'Angelo, Joe (2004-02-04). "Twista Blows Straight To Top Of Billboard Albums Chart". MTV News. Retrieved 2008-08-18. ^ Ford, Tracey (2008-01-15). "Twista Launches Get Money Gang Record Label". The Boombox. Retrieved 2008-08-18. ^ "Twista and AK (Of Do Or Die) join Chicago duo for fast-paced "Legendary" record". Gowhere Hip Hop. 2009-11-09. Archived from the original on 2012-03-30. Retrieved 2012-04-10. ^ Frank says:. "Saurus & Bones feat. Twista & AK (of Do or Die) – "Legendary"". Fake Shore Drive. Retrieved 2012-04-10. ^ "Twista Documentary To Release In November". hiphopdx.com. August 12, 2010. Retrieved January 1, 2018. 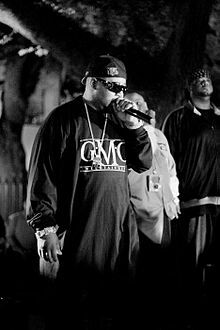 ^ "Twista Talks G.O.O.D. Music, Reclaiming Guinness World Record". HipHopDX. Retrieved 11 August 2018. ^ "It's Yours (feat. Tia London) - Single by Twista". iTunes. ^ C. Vernon Coleman (2014-04-26). "Twista Featuring Tia London "It's Yours" - XXL". Xxlmag.com. Retrieved 2014-06-08. ^ "Urban/UAC Future Releases | R&B, Hip Hop, Release Schedule and Street Dates |". Allaccess.com. Retrieved 2014-06-08. ^ Mitchell, Mary (August 29, 2004). "Rap star Twista leaves daughter waiting, wanting". Chicago Sun-Times. Archived from the original on August 29, 2004. Retrieved April 11, 2017. ^ "Giving Back: Twista Helps Feed the Hungry in Chicago!". UrbLife.com. December 2, 2010. ^ "Chicago rapper Twista faces misdemeanor marijuana charge". MiamiHerald.com. March 25, 2016.